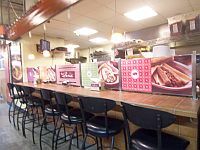 La Loma Tamales in Midtown Global Market it is a Restaurant serving a wide variety of authentic mexican dishes. La Loma Tamales Restaurant features hand made tamales, breakfast, appetizers, tacos and combination plates. La Loma Catering is an extension of the Cafeteria La Loma. 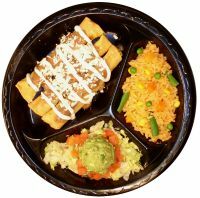 La Loma caters its authentic Mexican cuisine to many diverse customers through out the Metro area. Many customers welcome the change in menu from the ordinary to the authentic Mexican food offered by La Loma Catering. 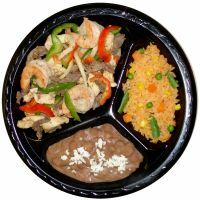 La Loma Catering works with customers to assure a wonderful new experience for any size party, meeting, event or fiesta. La Loma Wholesale was developed in 2004. 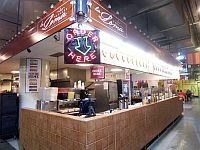 The wholesale division of La Loma Tamales is run and operated out of the central kitchen at 1837 E. 38th Street in Minneapolis, Minnesota. La Loma Wholesale currently offers their hand made tamales in a frozen retail package that is sold at many Hispanic Stores and at a large number of mainstream retail outlets throughout Minnesota. There are currently four packaged tamales, chicken with green sauce, pork with red sauce, vegetarian, and Oaxaca (spicy chicken in banana leaf). These tamales are also available in institutional packaging and are sold to many finer food establishments through out Minnesota.